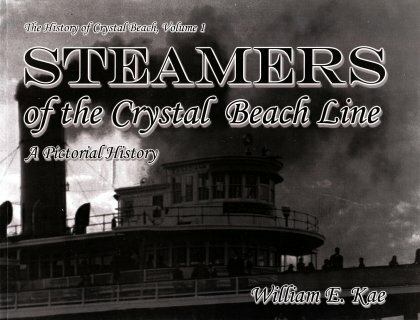 The Steamers of the Crystal Beach Line is a history of a select group of steam-powered passenger boats that plied the waters between Buffalo, New York, and Crystal Beach, Ontario. More than just a collector of photographs and statistics, William E. Kae chronicles the events that put these steamers in newspaper headlines before, during, and after their years of service sailing to Crystal Beach. * over 200 photographs and illustrations from museum archives and private collections. * floor plans of the Crystal Beach Line steamers the Americana and Canadiana. * references to every known vessel associated with the nautical history of Crystal Beach. * more than 125 references to period newspapers and nautical journals. Learn which boat earned the nickname "Honeymoon Special" (page 97), which boat made the entire trip from Buffalo to Crystal Beach while on fire (page 41), and where the Americana was cruising before its purchase in 1987 (page 178). For any enthusiast or anyone nostalgic for the days when these sturdy vessels ruled Lake Erie, this book shines a light on a unique chapter of history.